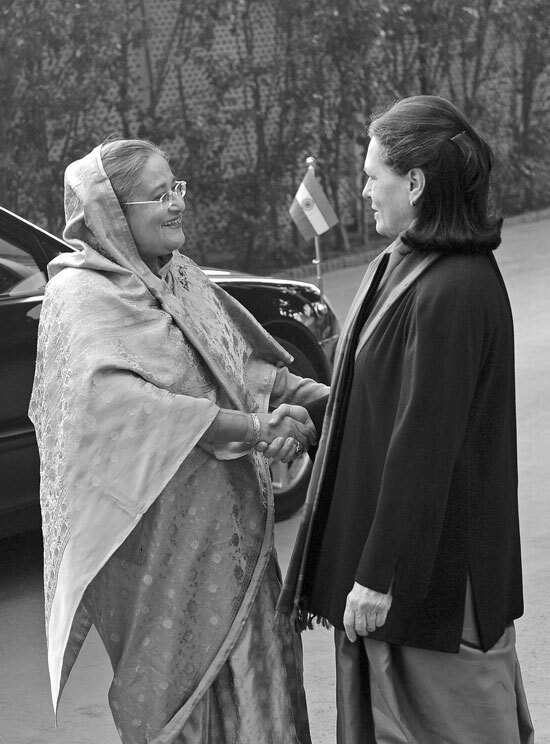 Leaders of India and Bangladesh met in New Delhi on Monday with talks focused on strengthening the previously difficult ties between the two south Asian neighbours, an Indian official said. Malaysia's image as a moderate Muslim nation has suffered a blow with a spate of church firebombings that has widened ethnic divisions and posed a serious challenge for Prime Minister Najib Razak. Nine churches have been attacked since last Friday, pelted with Molotov cocktails or vandalised amid anger over a court ruling that overturned a Government ban on non-Muslims using "Allah" as a translation for "God". The Spanish Secretary of State, Miguel Angel Moratinos, ratified Monday the position of his Government favouring the European Union (EU) to remove the so called Common Position towards Cuba.